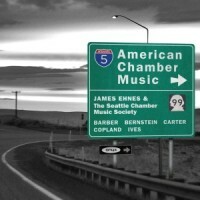 James Ehnes and friends from the Seattle Chamber Music Society hit the road on a fascinating journey through chamber music by some of the giants of 20th- century American classical music. Aaron Copland's masterful Violin Sonata, Leonard Bernstein's youthful and vibrant Piano Trio, and Samuel Barber's B minor String Quartet with its famous Adagio slow movement (known the world over as Barber's Adagio) are joined by Elliott Carter's haunting Elegy from early in his long career and the otherworldly Largo by that great maverick Charles Ives. Recorded live during the 2013 Summer Festival. 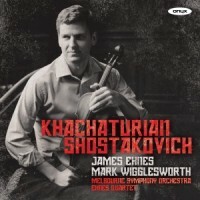 Acclaimed violinist James Ehnes is featured in two roles on this release. He is the soloist in Khachaturian's Violin Concerto and leads the Ehnes Quartet, making its Onyx debut, in two works by Shostakovich. The Khachaturian is an instantly accessible work, infused with the music of the composer's native Armenia. Shostakovich's fifteen String Quartets form the most important body of music in the genre after those of Beethoven. The eighth is one of the most impressive and popular in the canon. The terse, highly emotional seventh is dedicated to the composer's wife Nina, who had died in 1954. 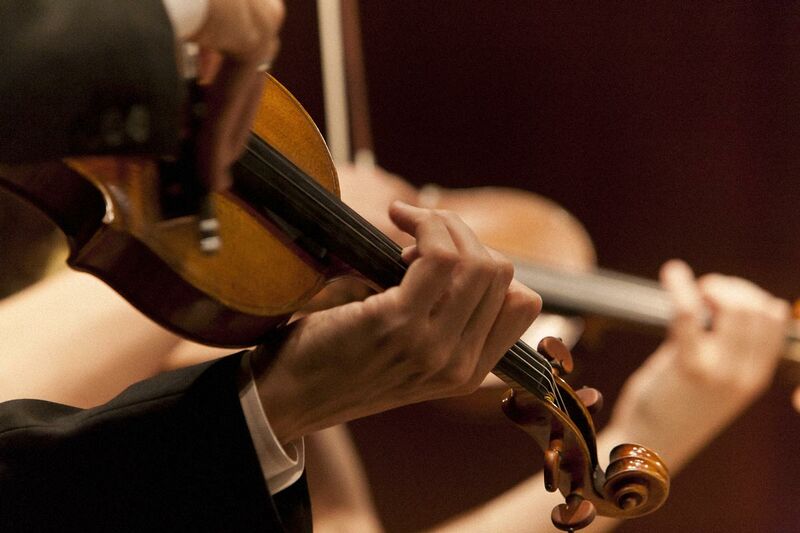 The Shostakovich string quartets were recorded live during the 2013 Summer Festival. Includes live concert recording of Mendelssohn's Octet for Strings, Op. 20 featuring Seattle Chamber Music Society 2010 Summer Festival musicians (James Ehnes, Erin Keefe, Andrew Wan, Augustin Hadelich violin; Cynthia Phelps, Richard O'Neill viola; Robert deMaine, Edward Arron cello). 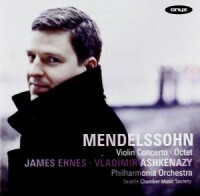 Also includes violinist James Ehnes with Philharmonia Orchestra conducted by Vladimir Ashkenazy in Mendelssohn's Concerto for Violin and Orchestra.